Pinterest is alive with beautiful fall images right now. I’m in the fall spirit, at last, because we’ve finally had a cool spell in Houston. And I must say: I worked so much this summer that I’m not sure where those months went. But I am so happy that I can finally go to a job site and not have my make-up slide off my face and my hair cling to the back of my neck in the middle of a work day! …Simply. Because simple entertaining done with subtle touches lets you enjoy your guests without much stress. Here at our house, we’re already planning our holiday get-togethers with my family. So, because I’m over here thinking ahead, I figured it would be a good idea to invite you to follow along with the inspirational images of lovely, simple, fall table decor I'm pinning on Pinterest. 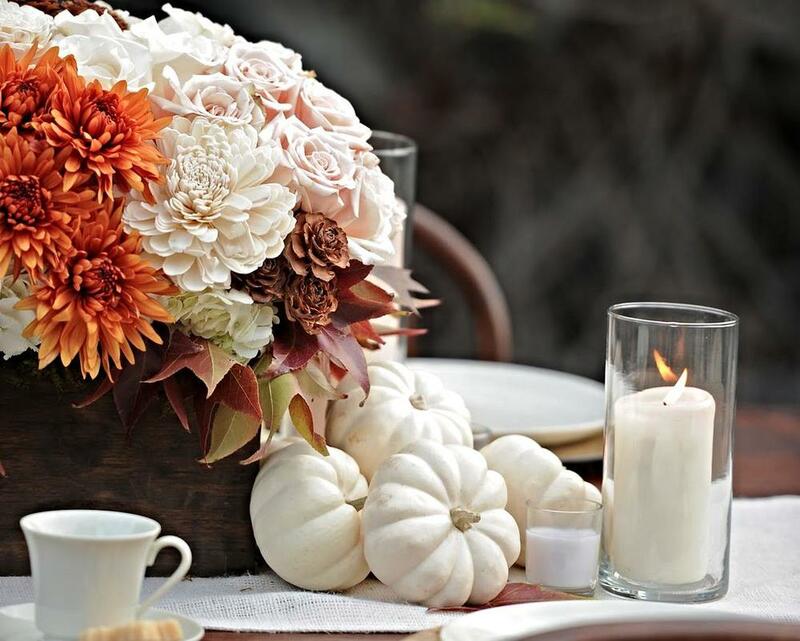 *Check out this post, I’m sharing some of my favorite fall tabletop decor items!